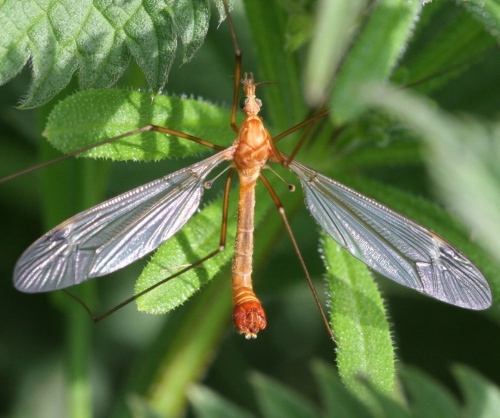 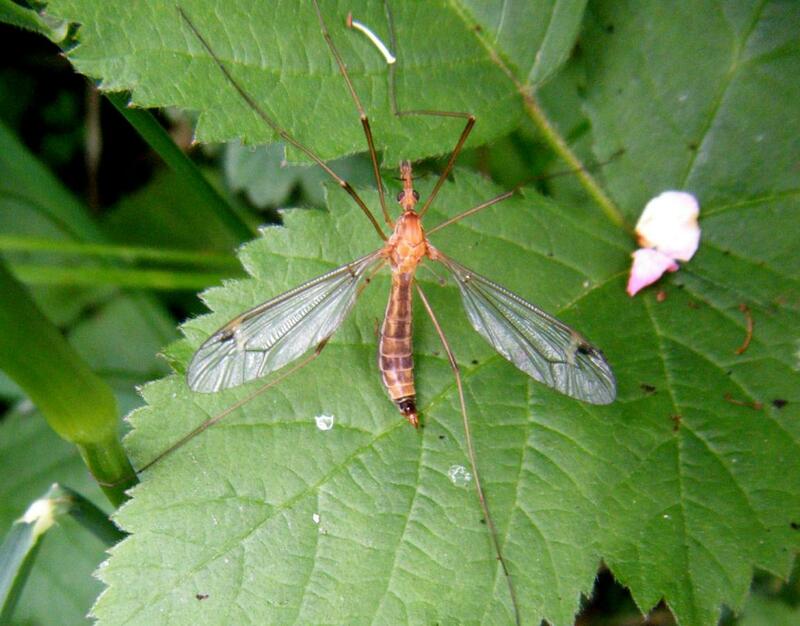 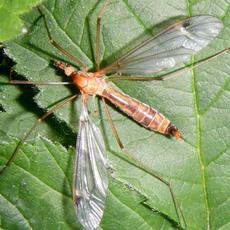 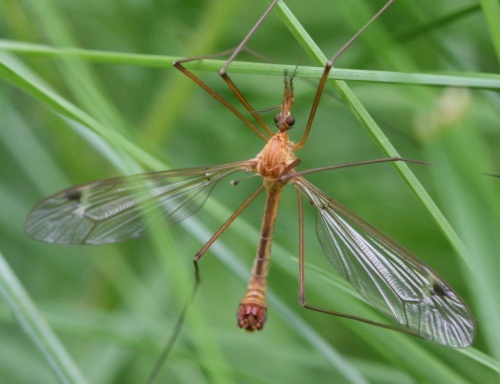 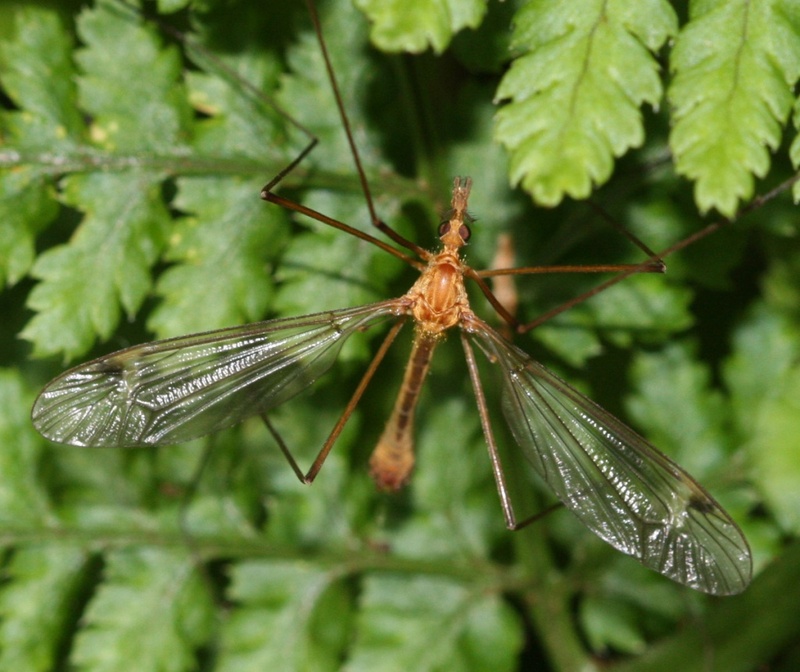 This orange-bodied cranefly has a white band on the wing extending right to the leading edge. 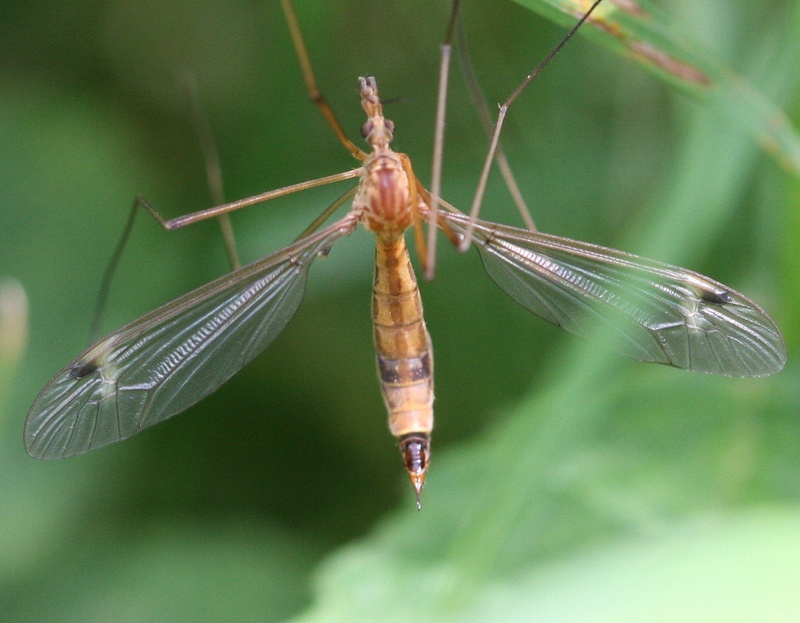 The short ovipositor of the female is also distinctive. Found in damp grassland, woodland edge and hedgerows.